You’ve been avoiding collection calls for months. You know that you owe several thousand dollars to the credit card company, and you know that you have been assigned to collections. You have been screening your calls for the last few months, throwing demand letters in the recycling, and generally living under siege from debt collectors. Then, things take a turn for the worse: you’re sued. It’s an emotional punch-to-the-gut to get served with a summons and complaint. Once you receive these documents from a process server its all suddenly official. You don’t know how to defend yourself in court or how much you’ll end up owing. All that you understand is that you are being sued in a court of law, and that’s not good. Most people ignore the lawsuit entirely. They don’t file a response within the required amount of time and wait for the credit card company to get a default judgment. Once the credit card company gets a default judgment they have automatically won, and now they can collect from you and your property. 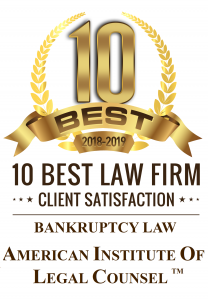 If you are facing a credit card lawsuit and know that you cannot afford to repay the debt, you may want to consider contacting a local bankruptcy attorney. Chapter 7 Bankruptcy can stop the credit card lawsuit cold in its tracks. Once you file the bankruptcy petition the pending lawsuit is automatically stopped by operation of an automatic injunction. With the credit card lawsuit stopped, you can wait for the credit card debt to be eliminated in bankruptcy. Once the credit card debt is eliminated the credit card company behind the lawsuit will be prohibited from collecting on the debt. In short, if you have just been served with a credit card lawsuit, you should consider your bankruptcy options. Don’t want to stop a credit card lawsuit by filing for bankruptcy? Can’t afford an attorney to defend you? Learn how to respond to a credit card lawsuit from the Sacramento Law Library.